Unlike ACCS style labels, these bar-style alphabetical labels are for end tab folders only. 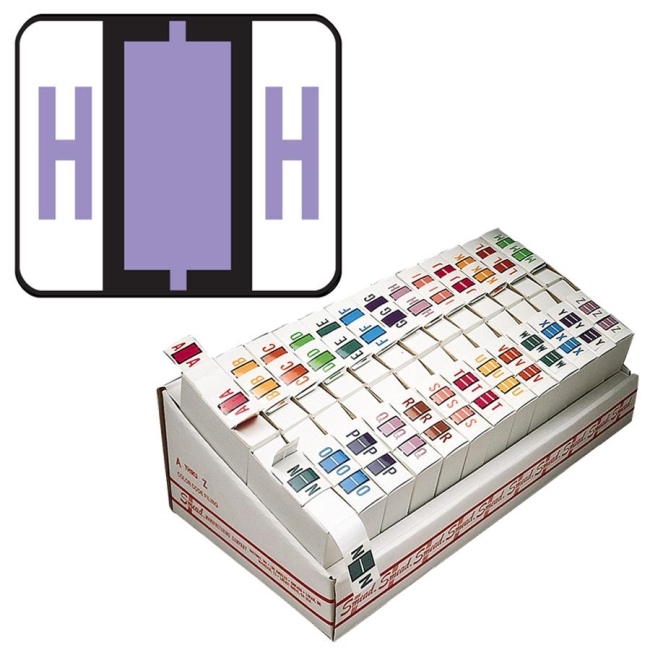 Color-coding labels are tab products compatible. Self-adhesive makes them easy to use. Label measures 1-1/4" wide x 1" high (before folding). $9Avery Pres-A-Ply Standard Shipping Label - 1"